The application of genetic engineering I’ve chose was GMO’s in food. I chose this particular application because one of my classmates had done this topic for his senior project and there so many things that I didn’t know, also it’s quite fascinating because GMO in food has a huge difference in regular, organic grown food. Also, many people don’t know the difference but if you two of the same fruits together, there is a major difference. One will most likely be bigger and the other will be way smaller. 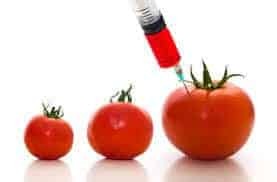 Three questions I hope to answer is who found out about GMOs, how did GMO become so common for people to do, and what are the negative effects of GMO’s in food. GMO in Food by Stasia is licensed under a Creative Commons Attribution-ShareAlike 4.0 International License. I agree with you because i think its really fascinating how GMO’s work and how they chose their characteristics of a food to make it the best possible.